they looks lovely Jenny…I can’t believe you made 5 batches! You have more patience than me for sure!! Right what I might do here is buy some unfilled profiteroles from Costco and make that mousse instead. I so don’t have the time or patience to make the buns themselves, but the whole thing looks awesome. I love your Maltesers’ creations! They look pretty amazing to me! Can I ask how on earth you manage to post them so quickly after the show – presumably you must bake in advance once the show theme is announced? Aaaaah these sound amazing, who cares what they look like! I like the new way of showing your recipes – very posh! I love the sound of that mousse. 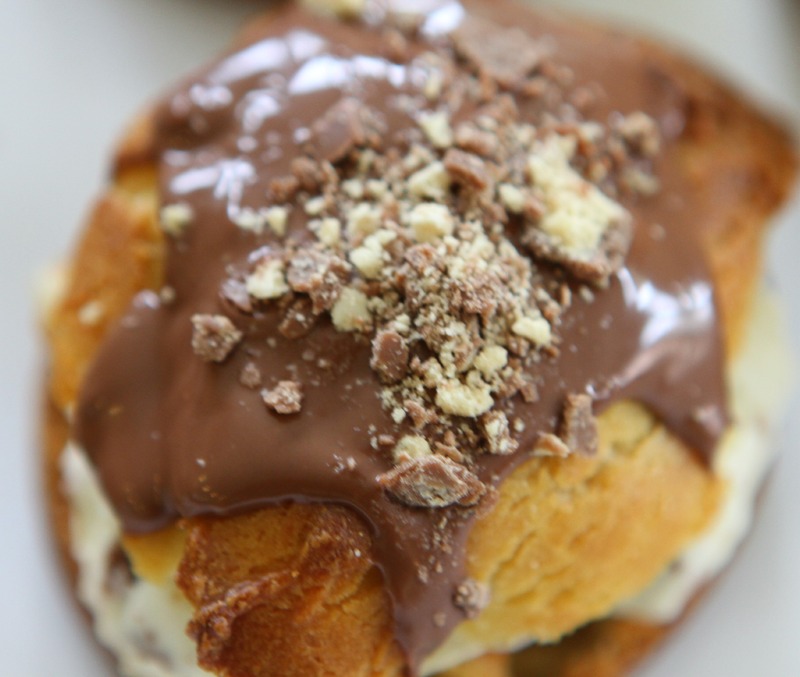 How weird that chocolate profiteroles don’t work. Come to think of it, I’ve never seen them anywhere. I suppose the lack of gluten in the cocoa? excellent, some of my favourite ingredients! White chocolate mousse *dreaming* *sigh* …. Oh boo I haven’t got round to making anything this week ;( I will try to make something before the deadline tonight! These look all kinds of yum! 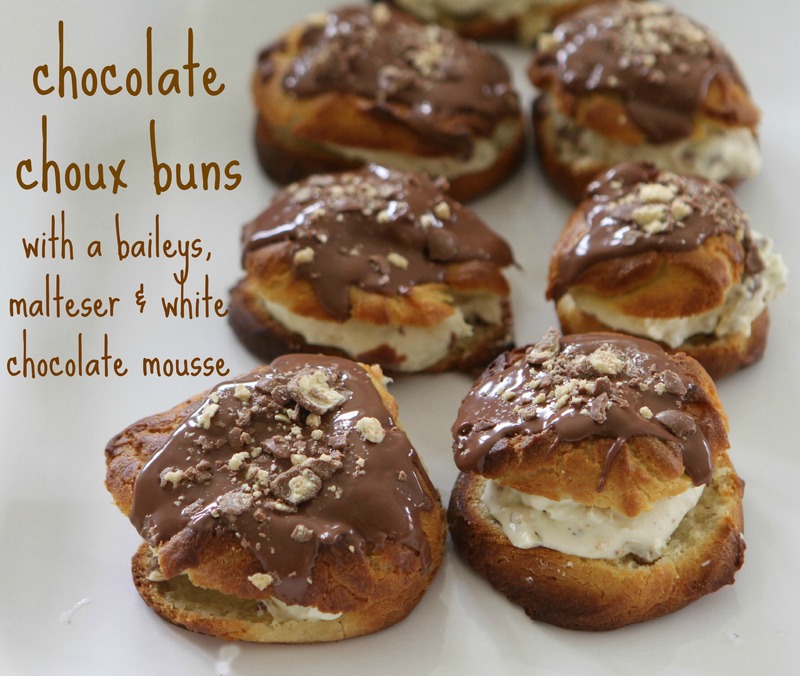 I really want to have another go at choux pastry so I will give these a go. Hi, these look fab! 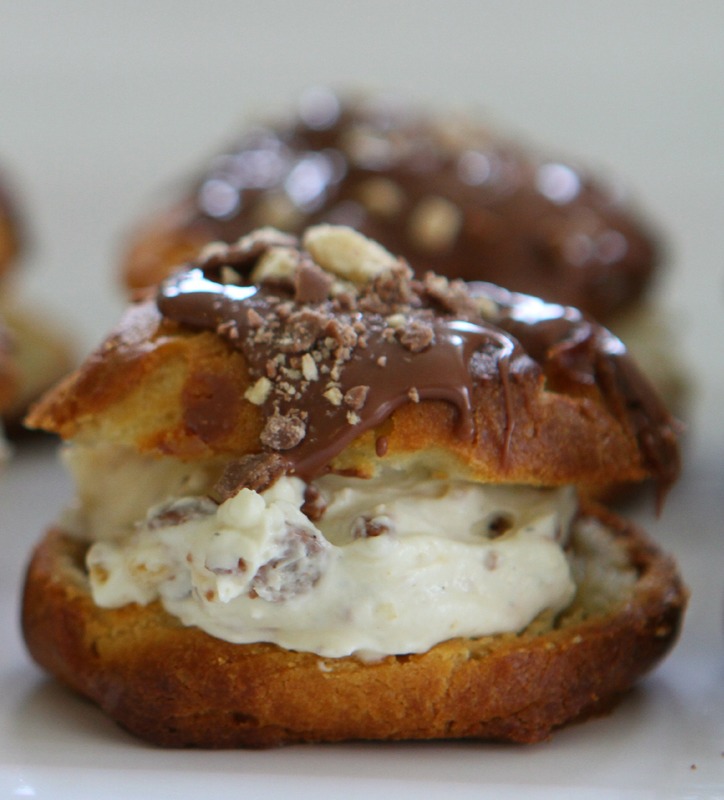 I’ve never made choux before but defo gonna give these a go! Quick question but how many eggs do you need to add to the pastry mixture? Is it whole eggs or just the yolk?